Akin to the crash and burn otherwise known as another end to a Vancouver Canucks hockey season, the black hole of restaurant locations has claimed another victim. 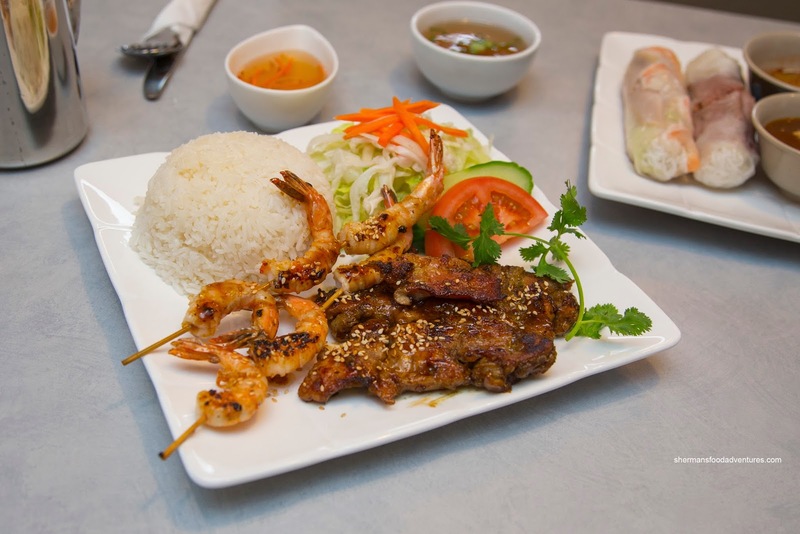 Situated in an awkward storefront on the corner of Nordel and Scott Road and facing the inside, the merry-go-round of Vietnamese joints has almost become comical. 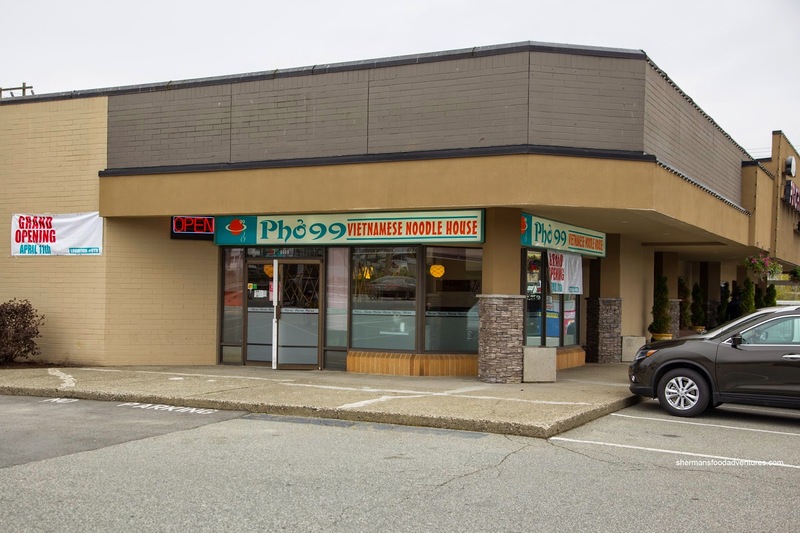 Bookworm noticed the most recent iteration opening up under the recognizable name of Pho 99. Could it be that familiarity will finally bring stability? Well, he arranged another one of his famous tastings at the place shortly after it opened its doors. 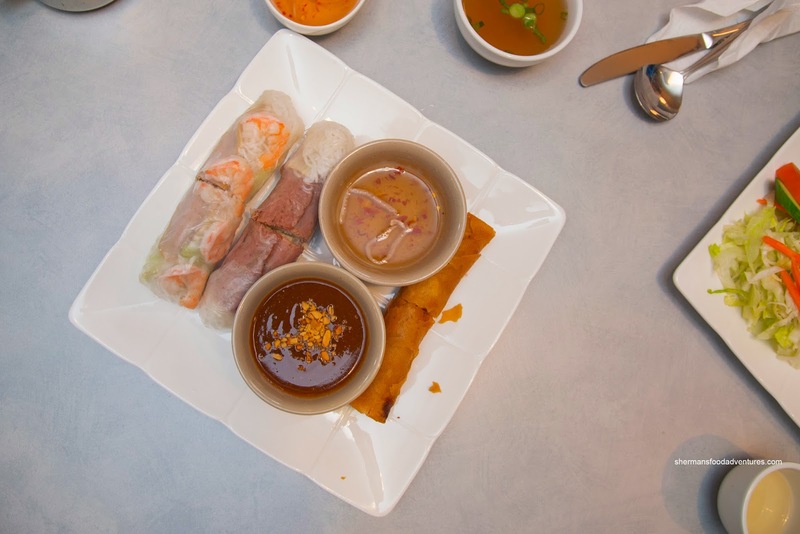 To get a taste of the appies, we got the Roll Combo to start. It consisted of one Shrimp Salad Roll, one Pork Salad Roll and a Spring Roll. I liked how the rice wrapper was moist while still maintaining a pleasant chewiness. Inside, there was iceberg lettuce, vermicelli and of course shrimp and pork. I would've liked to see some basil as well, but then again, I had a whole plate of it on the table. The dipping sauce was nicely balanced between hoisin and peanut. Hot and crunchy, one bite into the spring roll and it revealed a moist and almost airy filling that was sweet from the onions. Bookworm ended up with the Lemongrass Chicken and Grilled Prawns with rice. The healthy portion of chicken was charred nicely and was plenty marinated with a caramelized sweetness as well as the noted essence of lemongrass. With a meaty snap, the prawns exhibited a natural sweetness. Of course I had to get the Pho Dac Biet and it was as expected. Similar to my other Pho 99 experiences, the broth was clean with only the slightest murkiness on the bottom where the meat flavours resided. It wasn't overly salty or MSG-enhanced, hence the overall taste was lightly sweet and some hits from the charred onion. Without being clumpy, the noodles were toothsome and well-portioned. The meats were mostly tender including the rare steak, but the brisket was a touch dry. 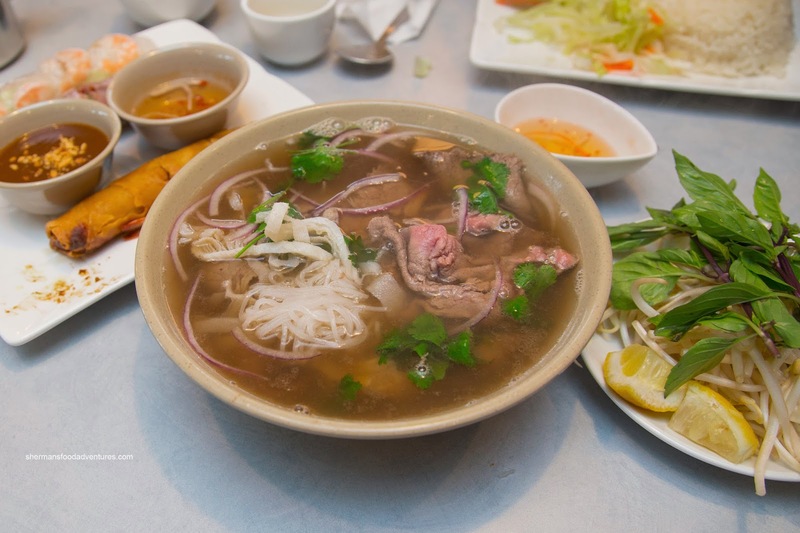 Overall, a solid bowl of pho and better than Pho Stanley, especially the steak (where it wasn't chewy). 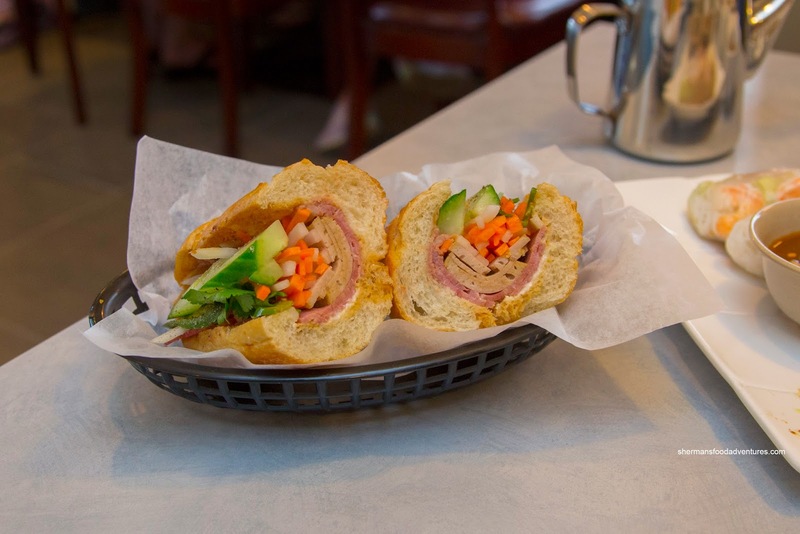 Lastly, I had the Banh Mi with pork and Vietnamese ham which featured a crusty baguette that revealed a good amount of Vietnamese cold cuts. There was a background hit of fish sauce that added the necessary saltiness. In the end, there were no surprises here at Pho 99 and really, that is the whole point. Hopefully with consistency and name recognition, something will survive at this location.